Resurgent Bayern Munich host SC Freiburg at the Allianz Arena on Saturday looking to chalk up their fifth Bundesliga win in a row. Niko Kovac's side currently sit second in the table behind leaders Borussia Dortmund, who remain unbeaten, having overcome an indifferent start to the campaign. Freiburg meanwhile are currently in 11th place with a symmetrical record of three wins, three draws and three losses. Here's 90min's preview to this crucial Bundesliga clash. 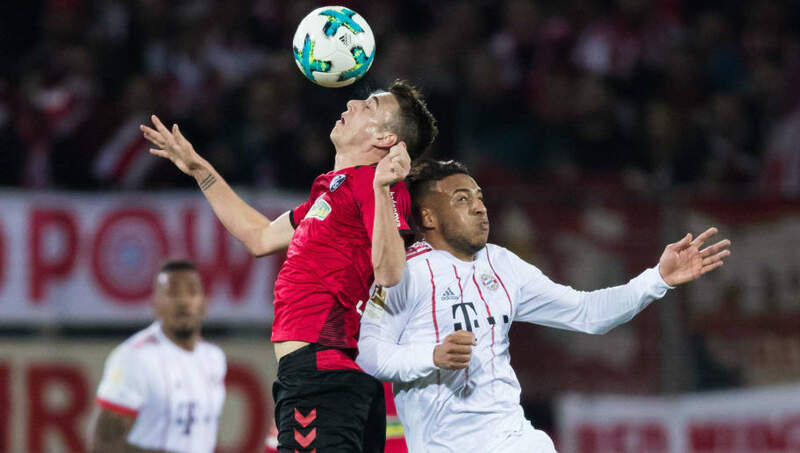 After a host of regular first-team players sat out Bayern's midweek DFB cup tie against SV Rödinghausen, familiar faces are expected to return to the lineup. Sven Ulreich, Arjen Robben, James Rodríguez, Jérôme Boateng and Mats Hummels all trained during the week and are available for selection, but key midfielder Thiago Alcantara is out for several weeks after picking up an ankle injury. Javi Martinez is expected to anchor the midfield, with Polish striker Robert Lewandowski leading the line for Die Bayern. The visitors hopes of getting anything out of the game have suffered a major setback after top scorer Nils Petersen went off with a muscle injury in Freiburg's disappointing DFB Cup exit at the hands of Holstein Kiel on Wednesday. He is not their only fitness concern though, with a further six players currently out of contention with a variety of niggles. Since 1996, Freiburg have only beaten Munich twice in the Bundesliga and the visiting side have never beaten them at the Allianz Arena in 18 attempts, with Bayern winning 16 and drawing two of those meetings. However, Bayern manager Niko Kovač has never beaten SC Freiburg as a coach, and only took two points off them in four meetings as Frankfurt manager. Bayern marksman Robert Lewandowski has an enviable record against Freiburg having scored 13 goals in his last 12 meetings with the visiting side. After going four games without a win, Bayern have turned their fortunes around by winning their last four games in all competitions. However, tomorrow's hosts have not won a game on their own soil since September 15 - a run of three home games without a win. Bayern have also conceded at least one goal in their last five home games, their longest run without a home clean sheet since the 2010/11 season. Freiburg will be looking to bounce back from Wednesday's disappointing defeat at the hands of a side who currently reside 17 places below them in the German football hierarchy. But, that loss aside, Freiburg have only lost one of their last seven games in the Bundesliga, and are unbeaten in their last three. Freiburg will be looking to bounce back from Wednesday's disappointing defeat at the hands of a side who currently reside 17 places below them in the German football hierarchy. But, that loss aside, Freiburg have only lost one of their last seven games in the Bundesliga, and are unbeaten in their last three. Despite Bayern's recent hectic schedule of four away games in 11 days, they should still be strong enough to overcome a frail Freiburg side. The hosts return to form has appeased section of support who were unhappy with how things had started under Niko Kovac, and with things back on track, chasing down Dortmund at the top of the table will be Bayern's priority. The return of key players to the fold should see Bayern ease to a routine win.